The fall season is underway, which means luscious tones of chocolate, burnt orange, ochers and rustic-rich reds. Nourison is excited to present fabulous new designs and color palettes from Barclay Butera Lifestyle for the Maze, Medley and Ripple rug collection. 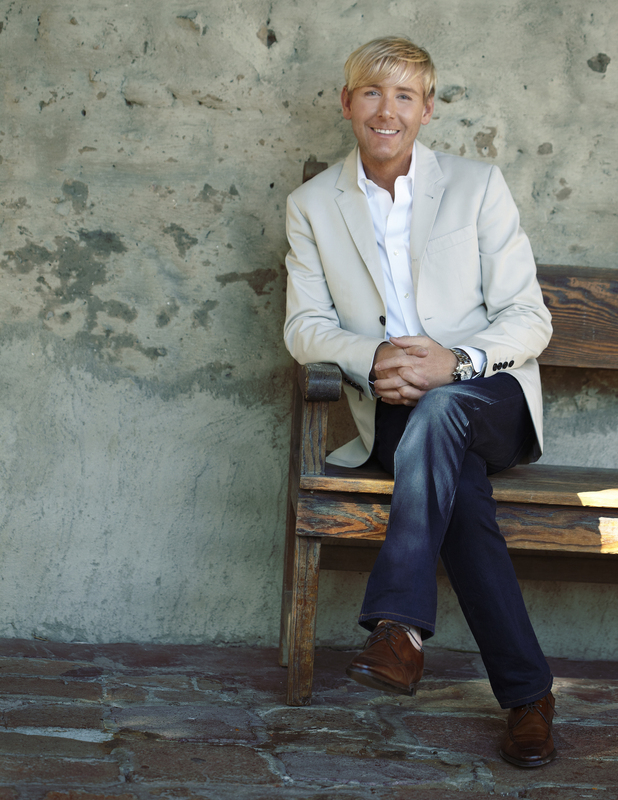 We sat down with Barclay to learn more about the inspiration behind the designs, and his “go to” for this fall season. We’re in love with the new autumn tones you introduced at High Point Market! What was your inspiration behind them? BB: I have to say a few projects I am working on in Sun Valley and Park City right now really got the creative juices flowing with darker, richer, more autumnal shades. Certain spectacular rooms were calling for a more masculine sensibility. And while I think the Maze pattern satisfies the need for high design, the new colorways allow us to use these rugs in fabulous dens, game rooms, men’s dressing areas- the works. I am particularly thrilled with the way the chocolate and burnt-sienna orange combination in the Paris rug mixes with leopard- killer. The new designs in the Maze rug collection are very intricate. Any design tips for someone wanting to include these fabulous rugs in their home? BB: I love that design and honestly I think this pattern lends itself very well to mixing with other patterns. I have never been a very matchy-match guy; and I’m always mixing it up with a myriad of different pillows, throws and upholstery options. There really are no rules, I just follow my instincts and like to make sure the look is layered, glamorous, but always comfortable and inviting. If someone needs a bit of guidance mixing pattern, I always tell them to make sure the colors within each pattern complement each other. But absolutely do not be afraid to mix paisley with plaid, geometric with stripes. It’s the only way to go. BB: Fashion and travel always get me thinking… An incredible suit off a Milan runway can end up as a rug, a fabulous fountain park in Paris can inspire a fabric. The stripes you see in my new Ripple collection are kind of evocative of men’s haberdashery, the thin pinstripe adds a chic bespoke feel. Recently I was looking at formal gardens in the French countryside and the geometric way the boxwood hedges were arranged made me think of Maze and how I can use it with other less structure patterns and designs. What is your go-to home décor item for fall? BB: For fall? For winter, spring, summer and fall…animal prints- of course! Leopard and zebra strip pillows, rugs, bedding are almost always a signature part of my interiors projects. It’s that little bit of added West Coast twist I love to toss to my otherwise all-America look. Anything leather/ or hide adds a rich warm feeling to a room; like my new Brindle Medley rug. That cream-in-coffee color combination is the bomb- elegant and rugged all at the same time. That, and you can’t beat having good barware, especially if you like to entertain. Nourison celebrated with Kathy Ireland the launch of her new collection. 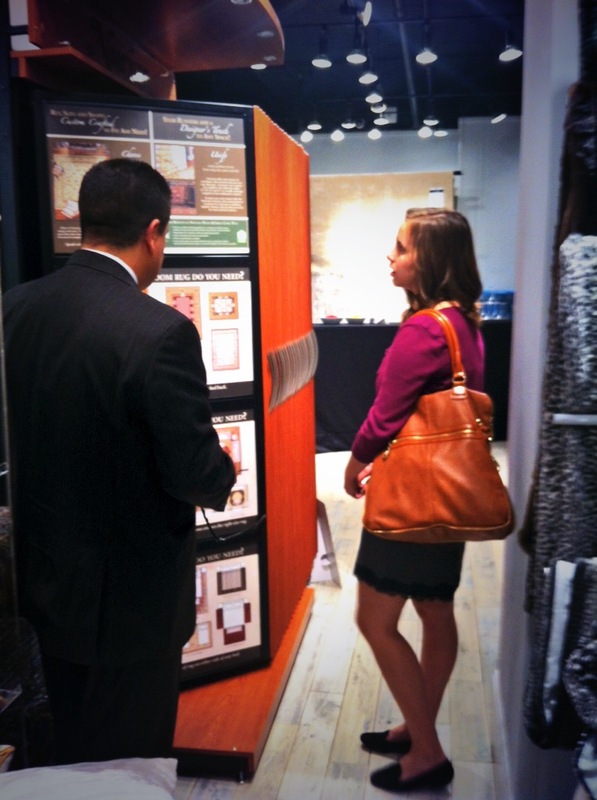 The showroom was filled of guests excited to touch and feel each rug, and their individual sophistication. On Monday afternoon at the High Point Market, Nourison Industries had the pleasure of hosting a visual merchandising student from High Point University in our showroom. North American Home Furnishings Association’s (NAHFA) New Generation-NOW group hosted an inaugural Next Gen Day, which featured a full day of activities focusing around broadening the participation and interest of the next generation in the home furnishings industry. It was a wonderful opportunity that two members of Nourison could not pass up. Our Director of Furniture and Latin American Sales, Jeff González, and Digital Marketing Coordinator, Brooke Feldman, provided some insight from two different perspectives. First, the student being toured, Hannah, was showed how we showcase our products in a variety of forms. From a rug boutique display, to a 9′ x 12′ rack, Jeff showed examples that taylor to the variety of customers we provide services to. Brooke, new to the industry, talked about some visual marketing efforts that attracts an audience through Nourison’s social media channels, creating snapshots of our company and the quality of products we produce. The highlight of the shadowing was when Hannah had the chance to meet our licensing partner, Barclay Butera. Mr. Butera was excited to meet Hannah and learn more about what kind material she is learning in her studies. 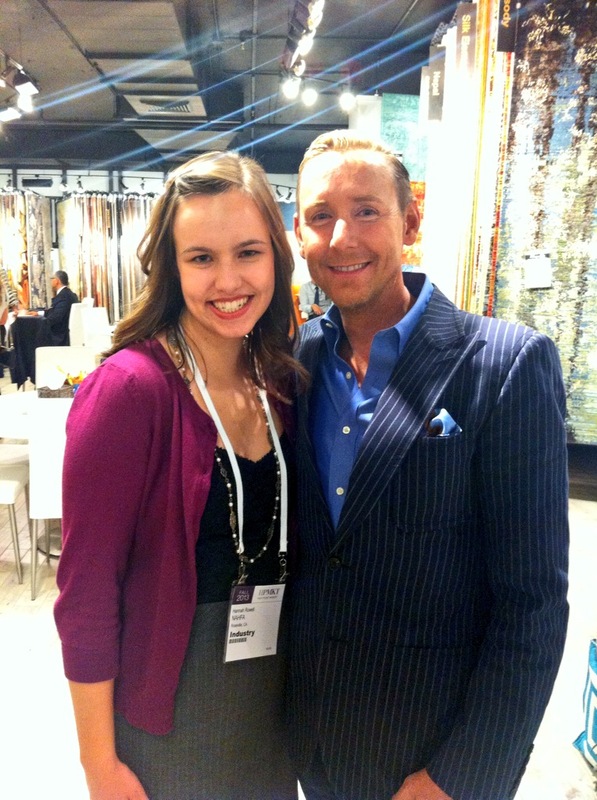 Star struck and greatly appreciated, Hannah left our showroom with a huge smile on her face.